Western Australia's response to poverty and homelessness is imprisonment. Western Australia refuses to change the laws where people who have no criminal convictions are imprisoned if they do not have the capacity to pay a fine. People are languishing in prison for not being able to pay their fines. Single Aboriginal mothers make up the majority of those in prison who do not have the capacity to pay fines. They are living in absolute poverty and cannot afford food and shelter for their children let alone pay a fine. They will never have the financial capacity to pay a fine. So we would like 10,000 donors to raise funds to free women from prison and have warrants vacated. If you can financially assist this movement it would be greatly appreciated. The funds will only be used to release people from prison or pay outstanding warrants. After donating please contact the Attorney General Honourable John Quigley on his email Minister.Quigley@dpc.wa.gov.au and demand that these discriminatory laws be repealed as a matter of urgency. The WA Government must not use prison as the default response to poverty and homelessness and no one should be imprisoned because they cannot afford to pay a fine. This campaign has been set up by Debbie Kilroy, CEO of Sisters Inside Inc. The funds raised will be used to release people from prison and pay warrants so they are not imprisoned. The average cost for each warrant is approximately $3000. This includes the actual fine amount and then there are fees and costs added by the Infringement Registry. For example one woman had $9555 of fees and costs added to her original fines. The fees and costs are very expensive and the Registry will not negotiate to reduce the fees and costs. The fees are added for administration fees and the costs are the actual cost for each warrant that is released for each fine. Thank you everyone for being so generous with your donations. We are still trying to reach 10,000 donors to meet our target. We have paid over 100 women's warrants and release from prison. If you could share the campaign so we reach 10,000 donors that would be very much appreciated. Thank you so much for supporting our campaign to #freeher #freethepeople. 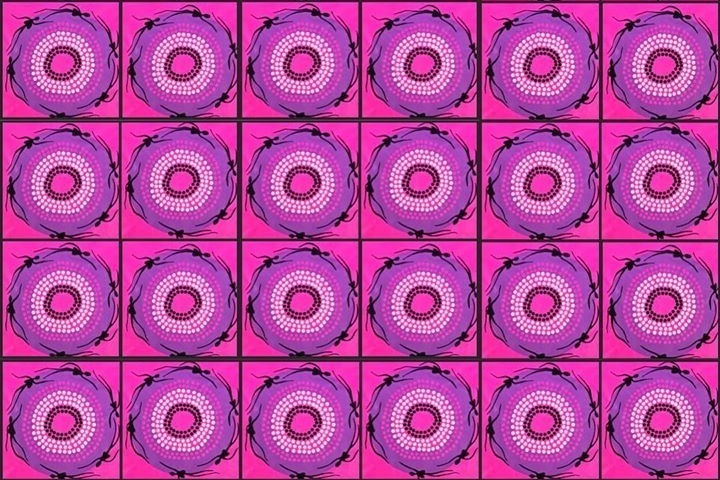 We have now paid 96 Aboriginal women's warrants. Many have said this has been life changing for them and they ask for me to send a big thank you to you all. One Aboriginal mother said that this has saved her life and her children are safe because the police can not come and arrest her for the outstanding warrants she could not afford. Another Aboriginal woman in prison said thank you but please use the money on another woman cause she had one night left to do in prison. We would love to hit our target of 10,000 so please spread the word and lets reach our target so we can continue to make positive impacts on women's lives. Thank you everyone for your kind and generosity with your donations. We have paid 68 Aboriginal mother's/women's fines so that they are not imprisoned for their fines that they cannot afford. We have paid 3 women's warrants to date for their release from prison. When any woman arrives in the prison system the prisons are contacting us directly to organise to pay the woman's fines immediately so they are released. It is great to have the prisons working with us.